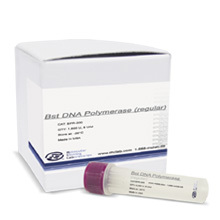 rBst DNA Polymerase is a product of DNA poll gene of the thermophilic bacterium Bacillus stearothermophilus (Bst). The enzyme contains 5´ -> 3´ polymerase activity, but lacks the 3´ -> 5´ exonuclease activity. 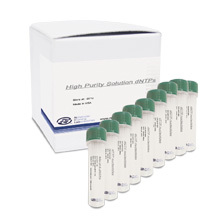 It also has an optimal activity at 65°C and can be used to synthesize DNA in regions containing template secondary structure or high GCs where other non-thermostable DNA polymerases may fail in sequencing. Therefore, rBst DNA Polymerase is useful in replicating difficult templates in various applications. An E. coli strain that contains the gene from Bacillus stearothermophilus.